As a "premium magnets" we call magnets which meet the highest quality and conformity requirements. Because of longstanding cooperations to suppliers and a perfectly balanced internal quality management, consisting of measurements with the CMOS-MagView and the M-axis, we can provide you magnets which exactly match your specified parameters. For all types of magnets: NdFeB, SmCo, AlNiCo and ferrites. 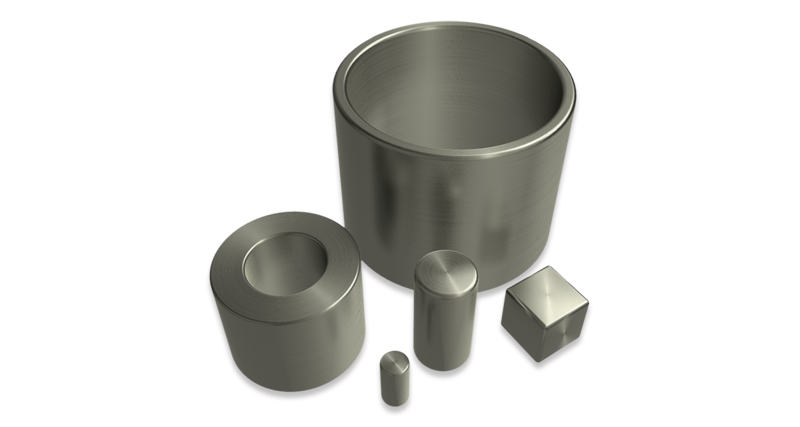 Our "Premium magnets" are characterized by excellent magnetic properties. In particular, its magnetization lies exactly in the specified direction. The open remanence is known to an accuracy of 1%. As a result, properties of magnetic systems with these magnets can be determined very well. The Premium magnets are either selected from a charge or directly produced for the customer. The measurement is done with our m-axis, the measurement system for open remanence and angle of the magnetization of hard magnetic materials. Further classifications of the magnets can be realized with the cmos-magview.